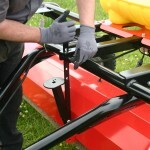 Improved design for maintenance- reduced service time and no tools required! 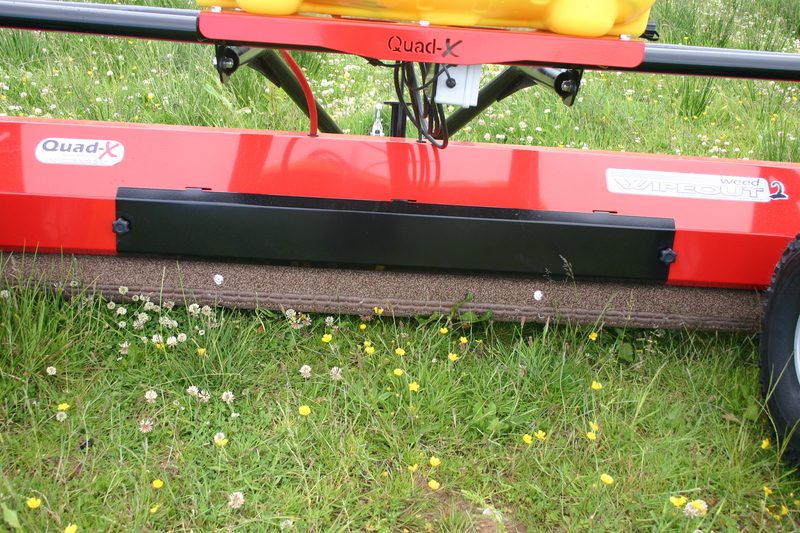 The Quad-X Weed Wipeout 2 boasts a number of innovative features such as Dual Rollers and Automatic Weed Detection. 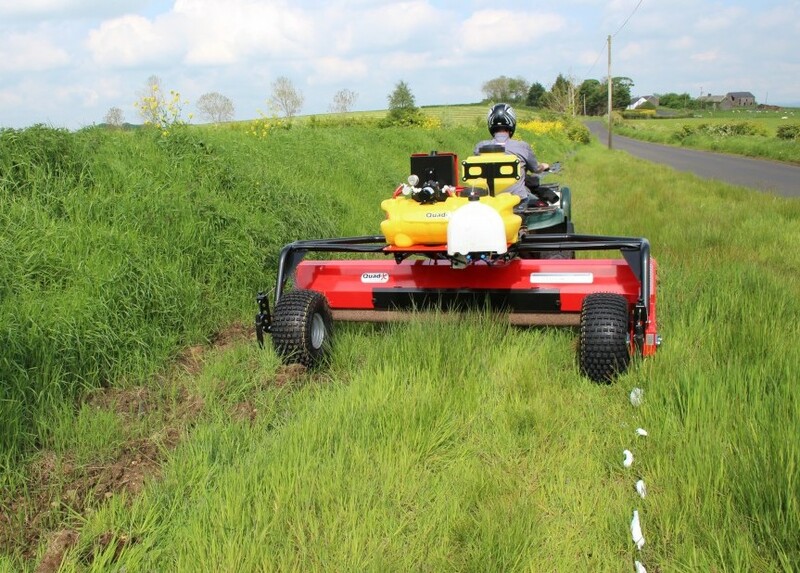 The Weed Detection System automatically activates the system to apply the optimum amount of chemical to the rollers, only when weeds are present, leaving you free to concentrate on driving, while saving chemical. 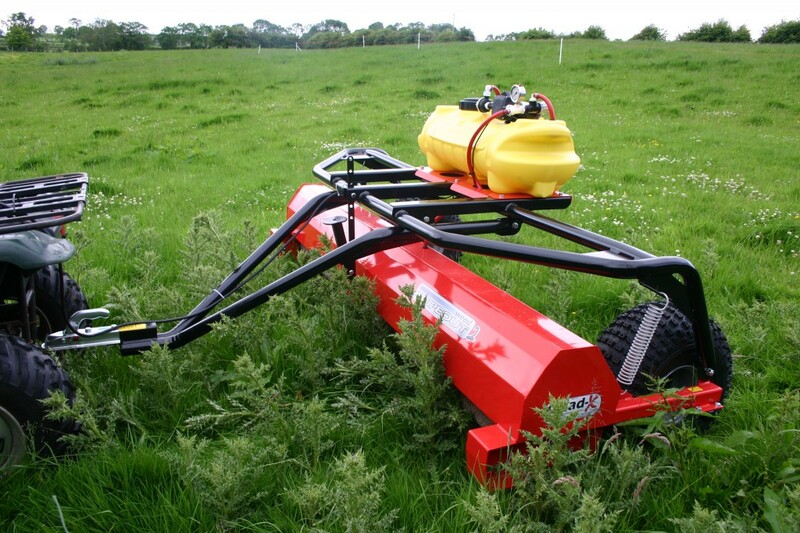 Contra Rotating Dual Rollers apply the chemical to the sensitive underside of the weed giving a more efficient and faster Kill rate. 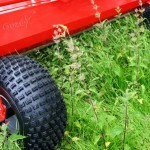 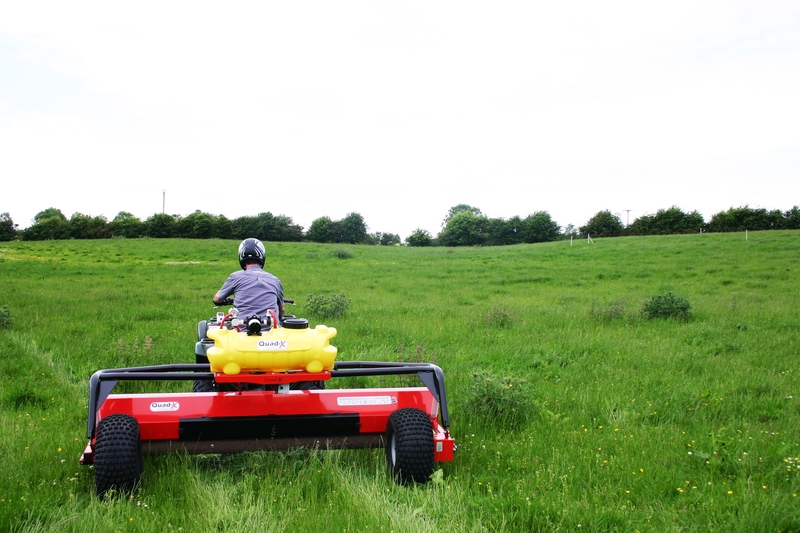 Massive savings on chemical, Dual Rollers offer the most cost effective solution to grassland weed control. 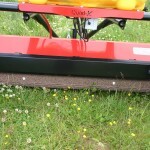 Dual Rollers rotate in opposite directions for optimum chemical application- for quicker kill. 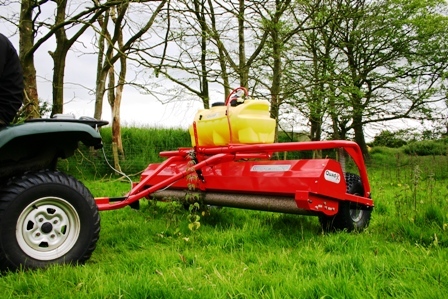 The 1st contra-rotating roller lifts the weed and applies the chemical to the sensitive underside, rather than the waxy surface, for faster kill rates. 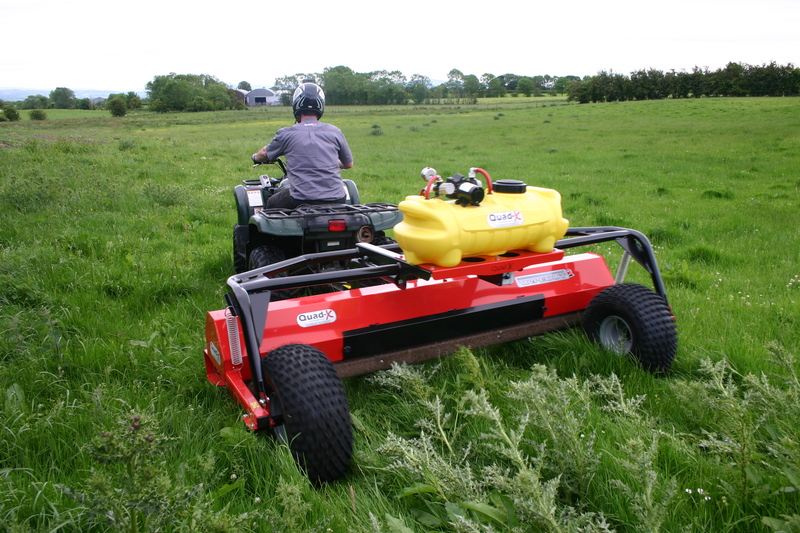 The 2nd roller acts to seperate out clumps of weeds for better application, Chemical is applied to the primary roller, while the 2nd roller absorbs any excess to minimise drips. 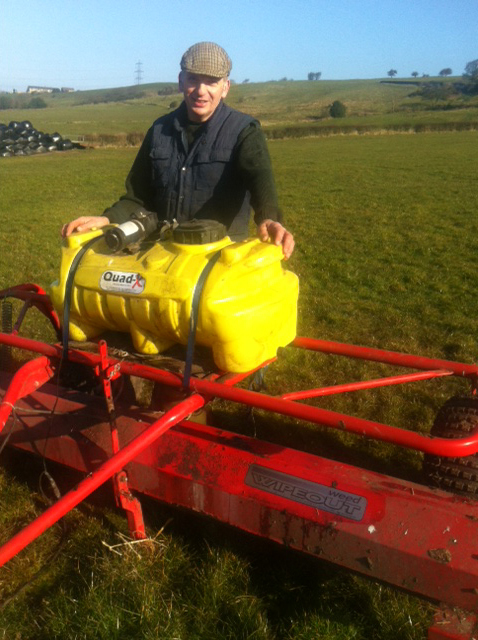 Achieves up to 100% kill rates- without the need to wipe in the other direction, to save time and chemical. 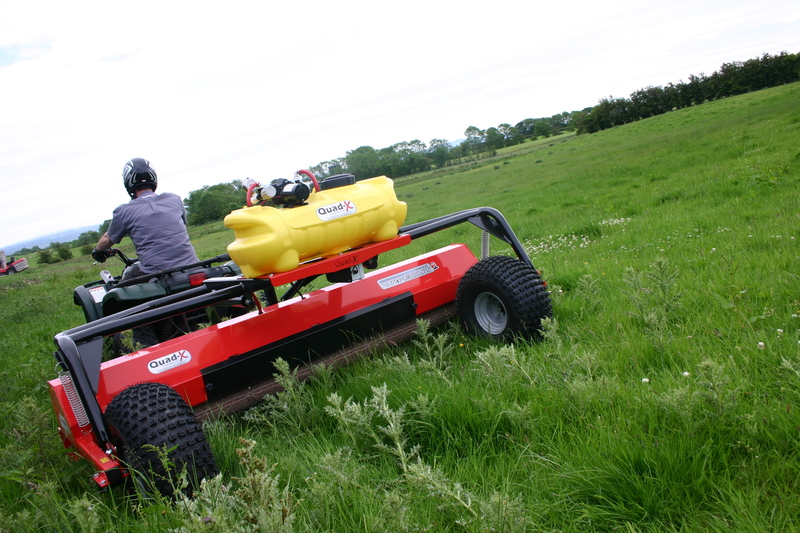 The weed detection system automatically activates the system to apply the optimum amount of chemical to the rollers, only when weeds are present, leaving you free to concentrate on driving, while saving on chemical. 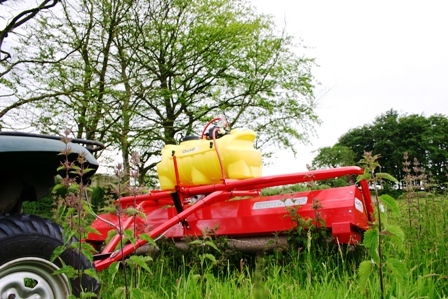 Unique Chemical control system to regulate chemical application rates for different weed densities. 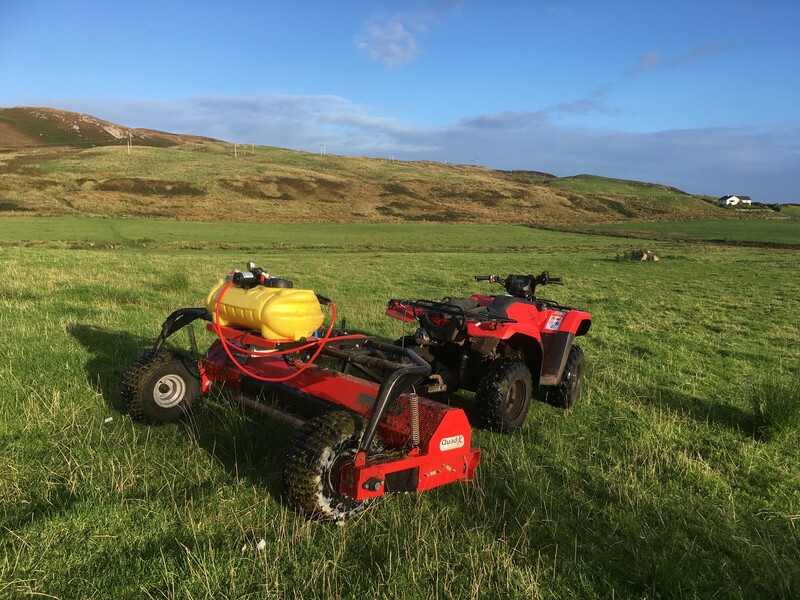 The Wipeout 2 offers improved performance with 14% less chemical us age to previous models thanks to further R&D on the chemical application process. 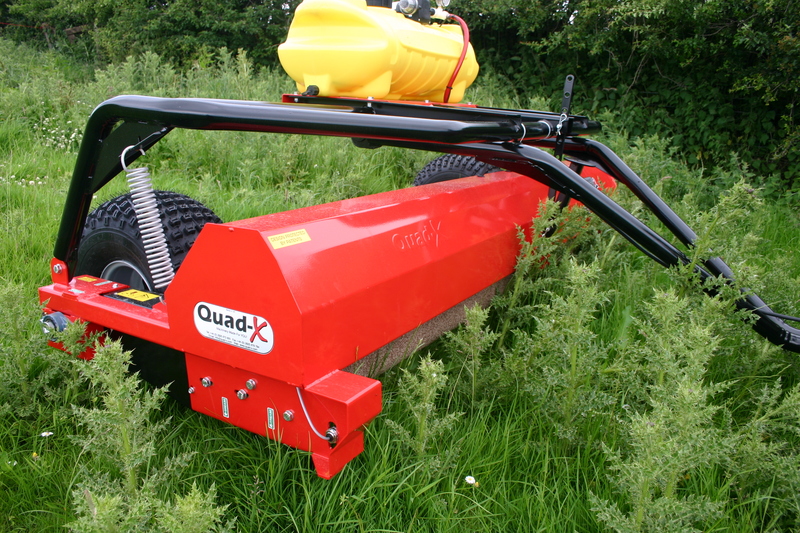 Through considerable development time and investment, Quad-X has discovered a process of unique atomisation technology where chemical is applied in the form of a micro bubble wich attach themselves to the open fibre roller without bursting. 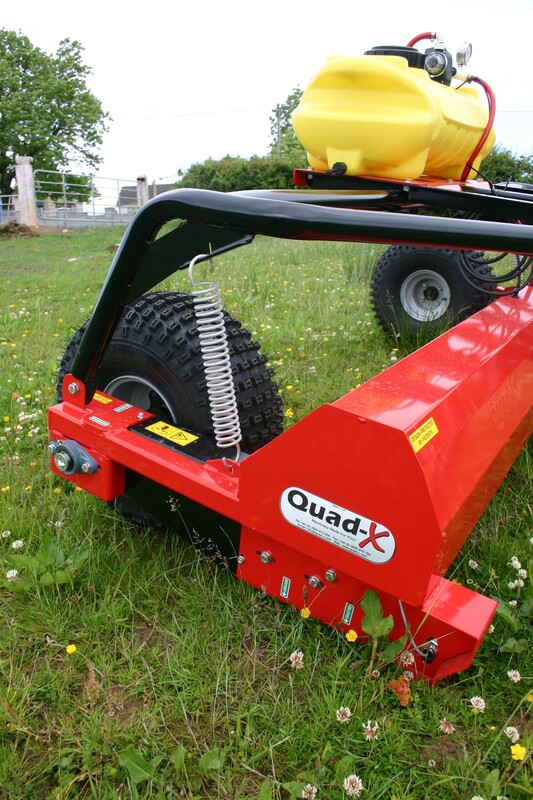 With the largest Height Range on the market; the Wipeout 2 can be adjusted from 140mm-380mm. 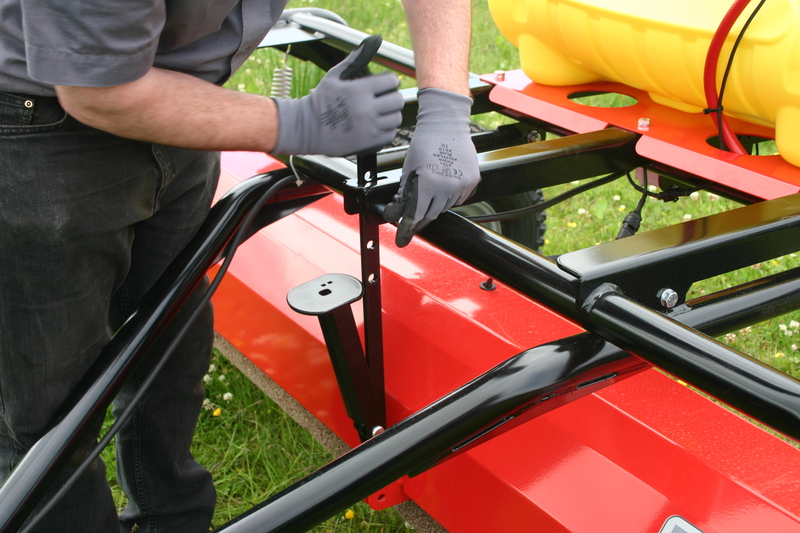 Spring Assisted lift is now fitted as standard on the Wipeout 2, to allow for easy height adjust even with a full tank mounted on the machine. 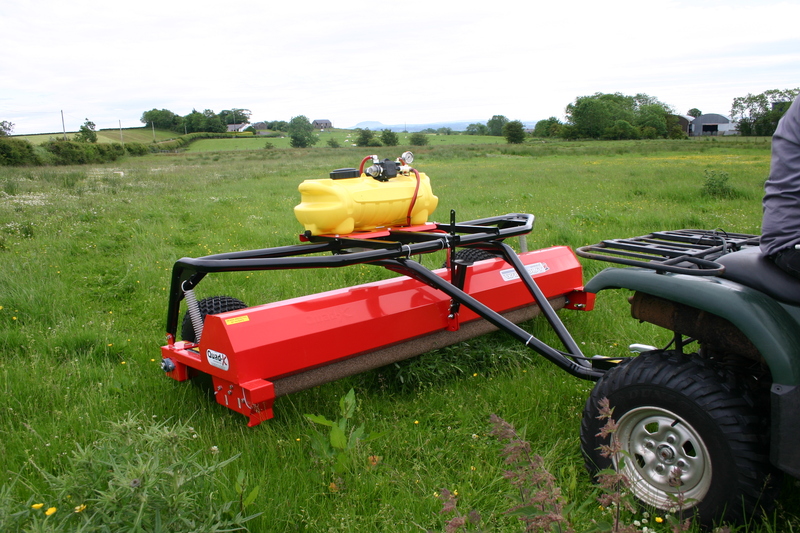 Unique Drawbar Design so the roller is first to come into contact with weeds after the towing vehicle (weeds aren’t knocked down by drawbar). 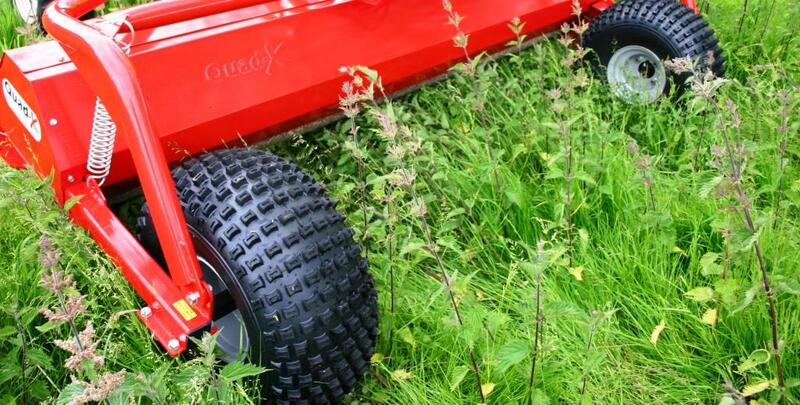 Knobby 22-11×8 flotation tyres which make the machine suitable for use on soft/wet ground, also optimal chemical application, no pick-up on the wheels. 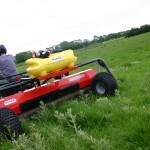 The Wipeout 2 is equipped with a new wireless control box. 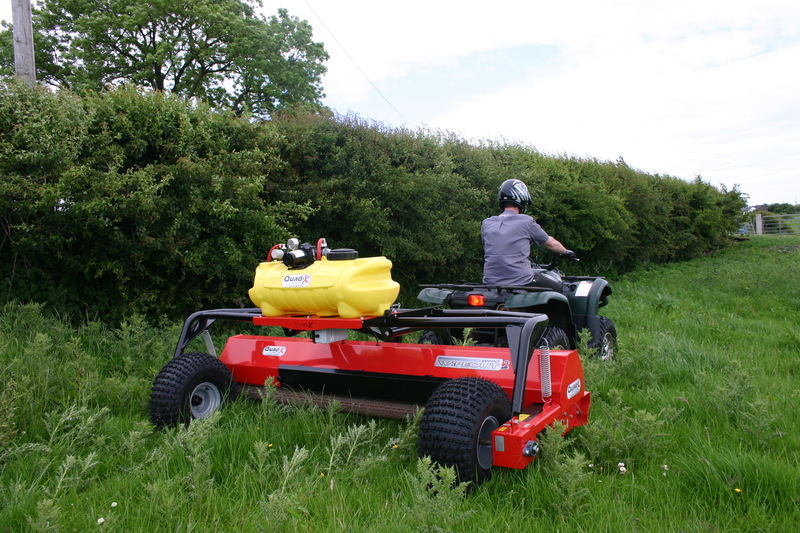 A handlebar mounted control box is within easy reach to adjust the unique chemical control system which regulates chemical application rates for different weed densities. 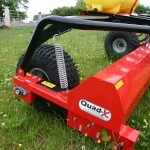 The Wipeout 2 is equipped with handy service access points for each reach of the atomisers. 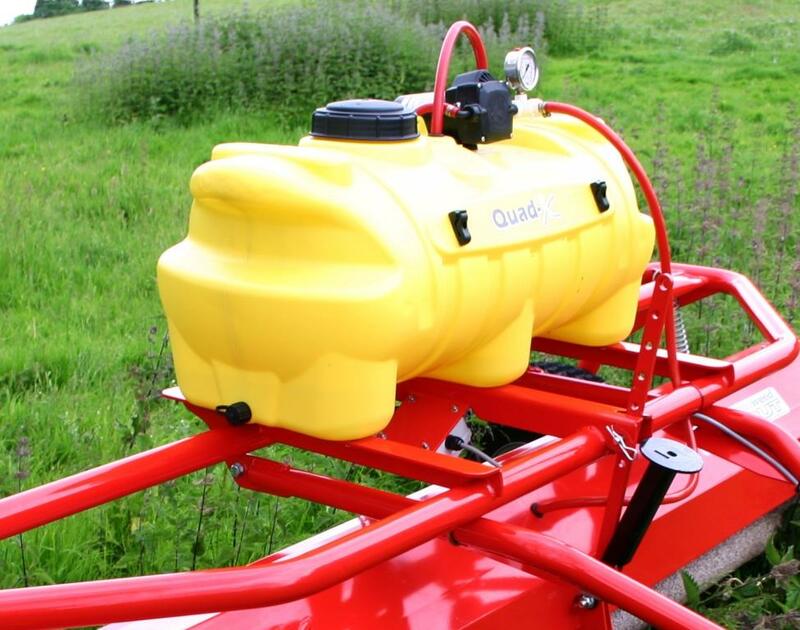 The Wipeout 2 is designed that the tank can be mounted on machine using a new secure tank retaining system. The Weed WIpeout 2 comes with the option of a 60L or 100L UV Protected Tank, which also comes with the Quad-X Superpump. 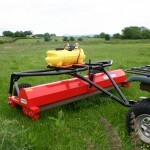 Inline filter and pressure control included with tank. 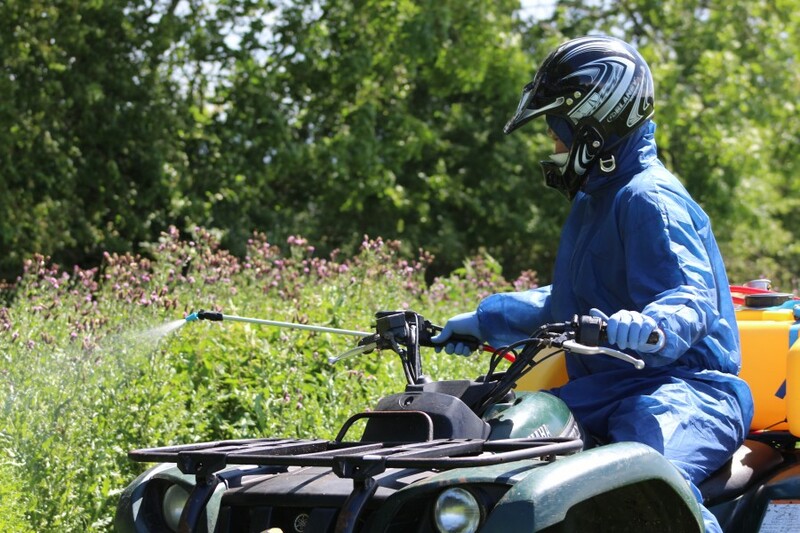 Spray while you wipe for those areas hard to get at. 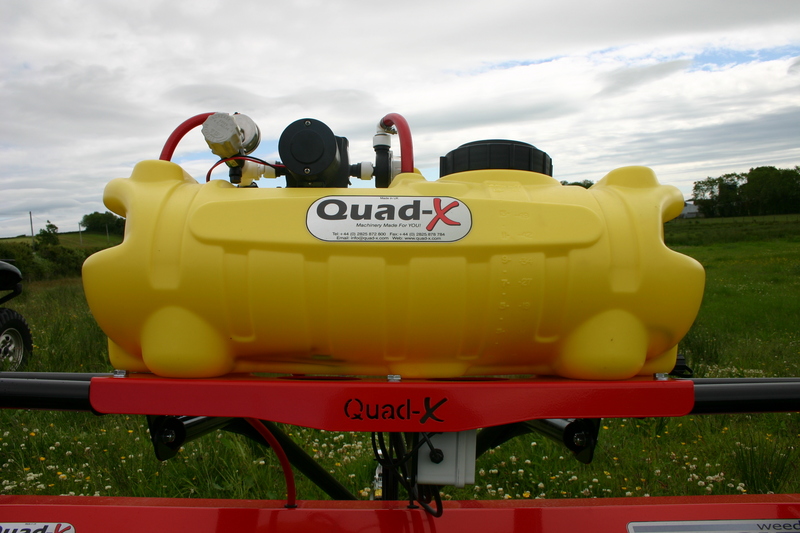 Wiring Kit and Pressure control option if using an existing sprayer tank. 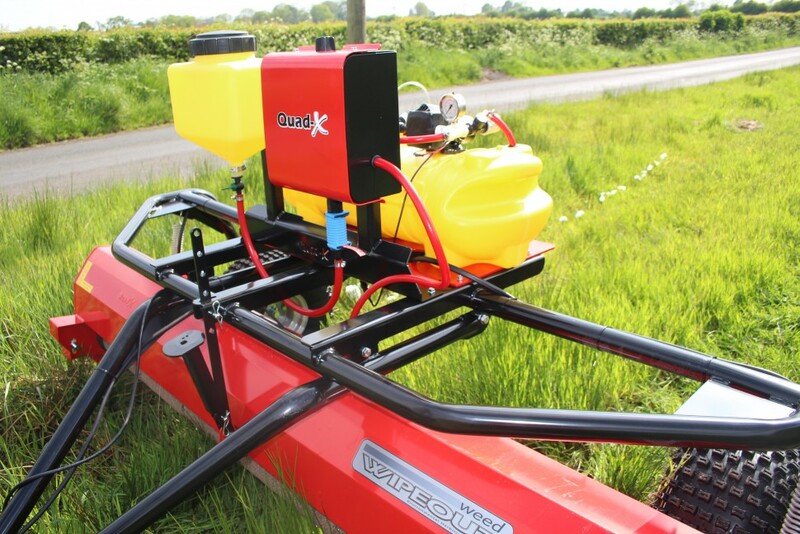 All the features of the Wipeout 2 but also comes with a unique chemical injection system that prevents chemical being wasted. 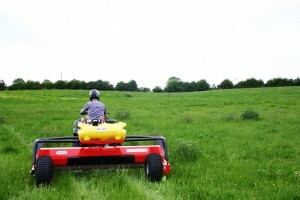 Assists the operator by clearly indicating the line of travel needed to ensure all ground is covered without misses or overlaps.